A PC is a small ultra durable and has just introduced by Stealth.com, a company engaged in industrial systems and computer peripherals. 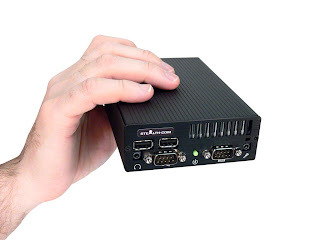 Ultrasmall PC named LPC-125LPM is designed specifically to be integrated in the vehicle. Computers that have the dimension 102 x 155 x 37 mm and weighs 0:54 kg has a black casing. Using the Intel Atom 1.8 GHz Pinview D525 which has the ability to dual-core computing and hyper-threading is supported. Processor performance is also supported oelh SO-DIMM DDR3 2GB, and also internal Mini-PCIe slot. 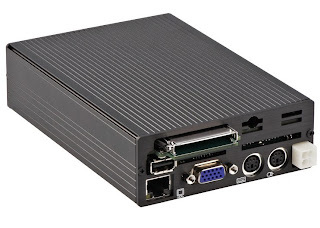 There are I / P connector on the front, and the Gigabit LAN port, three USB 2.0 ports, VGA output, audio connector I / O, a pair of PS / 2 ports, and an external express card slot. Ultra mini computer is also resistant to temperature, shock and vibration. A 2.5 inch mobile hard disk can also be added, if you wish. This computer can be found on the market at a price of USD 895.